Versatile hot shorts you can use in the water or on land. Featuring a stylish dolphin hem, quick dry, chlorine resistant fabric, and built-in UPF 50+ protection. 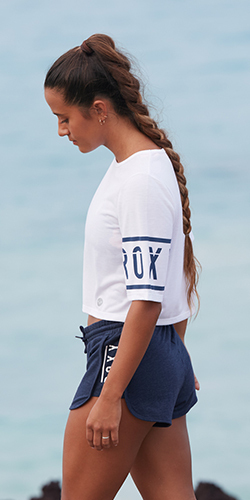 ROXY™ Womens Good Sport Bikini Bottom – Versatile hot shorts you can use in the water or on land. Featuring a stylish dolphin hem, quick dry, chlorine resistant fabric, and built-in UPF 50+ protection.